I reviewed this product a little while ago, and here is the tutorial as promised. 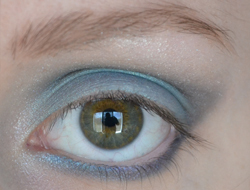 This palette has great pigmentation, and it can be used to create a really nice bright blue eye look. 1. 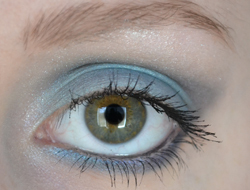 Prime the eyelid as usual, using Urban Decay's Eye Primer Potion. 2. 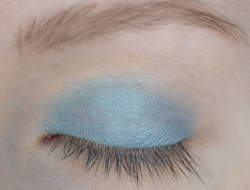 Take the aqua blue colour and cover the eyelid using the provided sponge applicator (this will give you good pigmentation). 3. 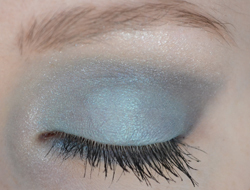 Use a regular eyeshadow brush to blend the dark blue colour from the outer corner into the crease, creating a V-shape. 4. Apply the white colour to the browbone and inner corner. 5. 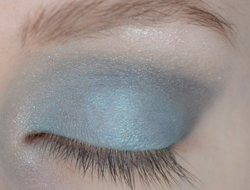 Use the Mac 266 brush to apply the dark blue colour to the outer half of the under eye, and aqua blue to the inner half. 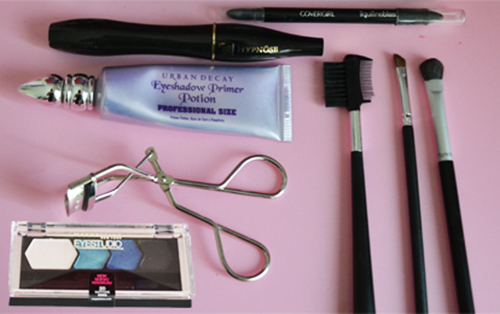 *Optional: If you want a dark dramatic look, use the black to line both under the eye and above the upper lashline. 6. Comb and curl eye lashes. 7. Apply eyeliner to the waterline and add mascara. 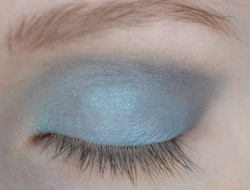 So there you have it :) This look is really pretty, but be aware that it's a very bright eyeshadow!